The new RIVIO Clearinghouse (see accompanying article) is a solution to a problem of financial hijinks with which you might not be familiar. 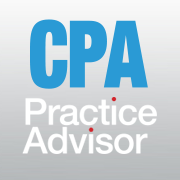 After all, most CPAs perform their services ethically and expect their clients to represent their financial information in a truthful manner. So it’s quite possible you don’t realize how rampant this misrepresentation can be. Financial statement fraud occurs in about 9% of all occupational fraud cases, according to the Association of Certified Fraud Examiner’s 2016 Global Fraud Survey. But the median loss in this category is much larger than the median loss in all cases: $975,000 vs. $150,000. Some frauds are fairly low level – altering a PDF or paper copy of a document. Others can be much more elaborate. We connected with Erik Asgeirsson, CEO at CPA.com, and Brian Fox, president at Capital Confirmation, to learn more about the problems that caused these two organizations to join forces and create the RIVIO Clearinghouse. With RIVIO Clearinghouse, CPAs in good standing, whose status has been verified by CPA.com, can upload reviewed or audited financial statements. The business then gives authority for lenders or investors to download those forms, and the forms go directly to the authorized third party with no intervention from the business. Here are some examples of real life fraud that could have been prevented with the use of RIVIO Clearinghouse. Two top executives at Canopy Financial, a now-bankrupt Chicago health care transaction software company, were sentenced to 15 and 13 years in prison in 2012 for defrauding investors and customers of more than $93 million. The two men used a bogus auditor’s report – ostensibly from KPMG -- and falsified bank statements to obtain $75 million from private equity firms. Prosecutors said they misappropriated $18 million from clients, and spent part of the money on luxury cars such as Bentleys and Lamborghinis, jewelry, personal home renovations and a nightclub investment. Norman D’Souza, CFO for Munire Furniture, pleaded guilty to an $18 million accounting fraud in April 2016. He allegedly prepared fraudulent financial statements for the New Jersey-based manufacturer of crib and baby furniture that overstated sales and accounts receivables, which helped the company obtain $17 million in loans from a Manhattan bank and an additional $1 million in financial incentives from an Indiana municipality where the company has a furniture factory, according to federal prosecutors. Hedge fund founder Samuel Israel and his CFO, Daniel Marino, were charged in 2005 with a $300 million-plus fraud scheme that involved creating a fake outside auditor to sign off on financial statements that masked significant losses by Stamford, Conn.-based Bayou Group LLC. In 2014, the SEC charged executives at New York-based advisory firm Aphelion Fund Management with investment fraud, including diverting more than $500,000 for luxury car payments and legal settlements for majority owner and chief investment officer Vineet Kalucha. Kalucha allegedly altered an outside auditor’s report, which originally showed a return of minus 3% for the fund over a 15-month period, to reflect a 30% positive return over an 18-month period. “When the accounting firm learned of the alteration to its report, it told Kalucha to stop distributing the report to investors and to inform anyone who had received it that it had been altered, according to federal prosecutors,” according to a report on Law360.com. “Kalucha told the firm that he had only given the altered report to one person, a claim the Department of Justice said Monday was untrue.” Kalucha eventually pleaded guilty to obstruction. With an upcoming bond offering in the works in 2012 and the authority’s independent public audit incomplete for FY2011, the controller of the NMFA, Greg Campbell, decided to take matters in his own hands and create a bogus financial statement, making it appear it came from the authority’s outside auditor, Clifton Gunderson, by putting a fake letterhead and signature on the cover page. The report was posted on the authority’s website and shared with investors and the public until the state auditor discovered some irregularities and began an investigation later in the year. Campbell eventually pleaded guilty to three fraud charges and got probation, the NMFA’s CEO was fired, and the state made several steps to improve internal controls at the authority.